Although most tropical plants are day neutral, and although most of the plants in our glasshouse are tropical, an great deal of flowering occurs now as the days begin to get longer again. 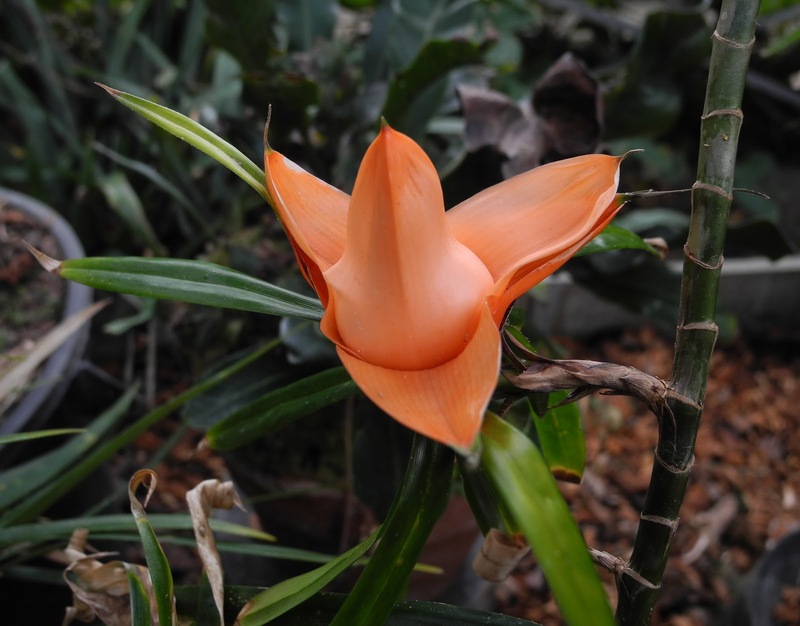 Here's and interesting, and in our glasshouse, unreliable flowerer, a member of the screwpine family (Pandanaceae), Freycinetia multiflora. As can be seen the stem and foliage give this scrambling shrubby vine a bamboo-y sort of appearance, and it can climb by means of adventitious roots to the tropical forest canopy. This one actually isn't in flower yet, but the flowers are tiny and borne on three club-shaped inflorescences hiding (for now) underneath the inner whorl of orange-sherbet colored bracts, which are the attractive part. 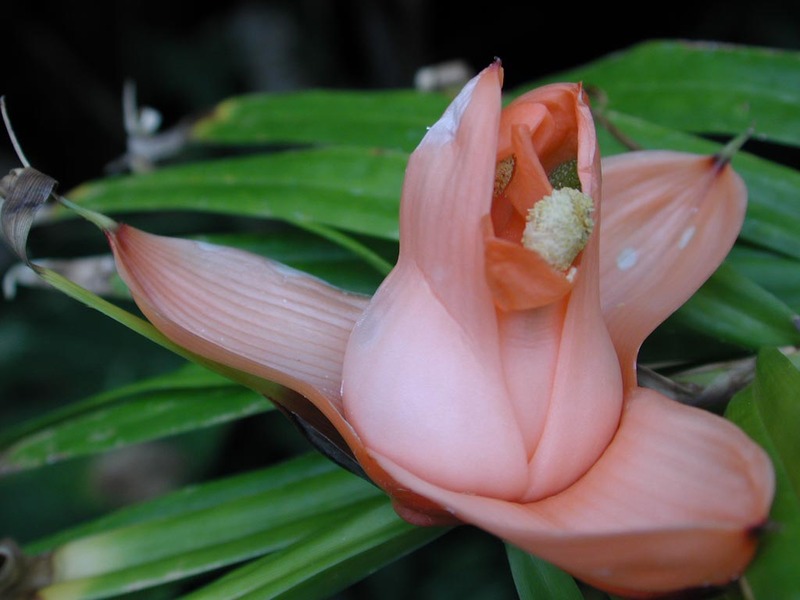 The smaller image shows one of the inflorescences emerging; these are dioecious plants, and this one bears staminate flowers. According to the literature, pollination is basically vertebrate, nectar/pollen feeding bats and birds, although possums may also effect pollination. On the whole is has a rather unusual look to it, but then again, all screwpines have a strange sort of look to them.